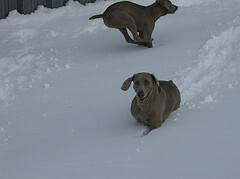 Below are some pictures of my Weimaraners. 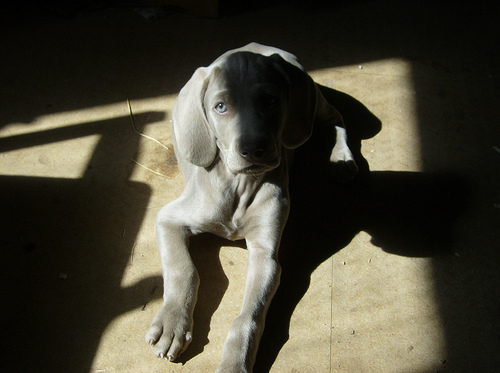 This site has extensive ancestry records on thousands of Weimaraners. For example, I have been able to trace Sable's ancestry back to 1879! This site has tons of information on almost all gamebirds and waterfowl in the world. This site has forums to buy, sell, and dicuss game birds. 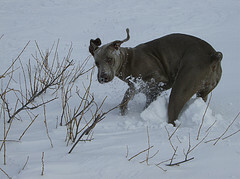 If I don't have a Weimaraner for your needs, please check out your local rescue. 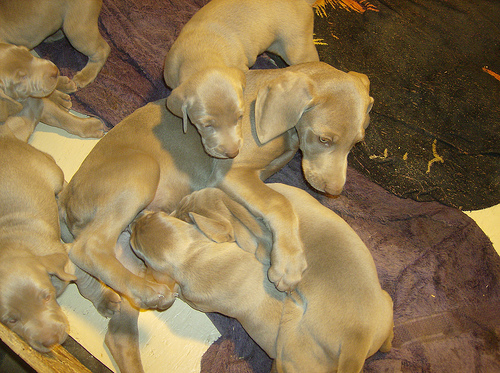 Seeing these abandoned Weims breaks my heart, and is a big part of why I am so picky about who gets a puppy. These sites also need foster homes, (somthing worth looking into). North American Versitle Hunting Dog Association. I have been a member for several years, and hope to do more with Rocket in the near future. This is probably the best org. 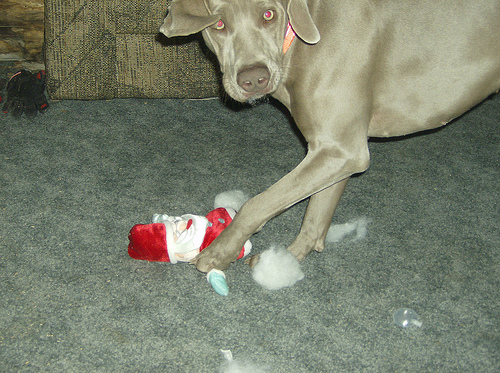 for hunt testing a Weim. New puppy owners are strongly reccomended to join this organization. I read these articles and was instantly pissed off. These puppy mill people should be forced to live the lives they force those poor dogs into. I would like to say again that if anyone thinks they are going to use one of my puppies for a mill, they can go straight to hell! 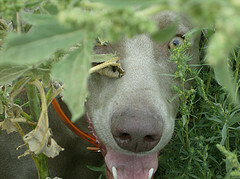 Check out this site if you would like to help put a stop to puppy mills.